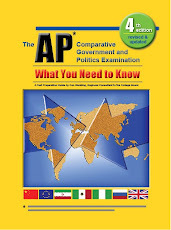 "The key to 'doing what you're asked to do' in the AP FRQs is to pay attention to the verbs. I think it's the natural tendency when we're confronted with exam questions to focus on the nouns, i.e. what the question is about. But doing what you're asked to do with those topics is vital for success." I guess I've offered that advice again. Good luck on Monday. Relax and sleep well this weekend.